Home » Criminal Justice » AFFIRMATIVE LINKS – WHY You Should NOT Plead to Your Friends Drugs! A common scenario: A driver and two passengers are stopped for a traffic violation. The law enforcement officer thinks he smells the distinct odor of marijuana coming from within your vehicle. Now, he has all of the passengers on the curb and is tearing apart the inside of your ride. He finds illegal substances in the vehicle. Who gets charged when the drugs are found in a vehicle with mutual access? Good question. Here’s a lawyer answer: it depends. (Please read on, regardless…they must be able to affirmatively link you to the controlled substances or other contraband they want to charge you with). OK…now I’m charged for Drug Possession, BUT THEY’RE NOT MY DRUGS! How do they prove Possession? Another good question, you’re on a roll. Under the Texas Health and Safety Code, possession is defined as “care, custody, control or management,” of the controlled substance at issue. MANY PEOPLE plead guilty to drugs that cannot be linked to them. It is CRUCIAL to consult with an attorney that is an expert in possession. CALL Attorney Tristan LeGrande of LeGrande Law! 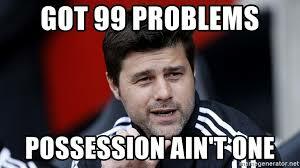 So How do they prove Possession anyway? Possession– actual care, custody, control, or management. TX Health & Safety Code Sec. 481.002(a)(38). State must prove the defendant exercised actual care, custody, control, or management over the contraband and (2) knew the object he possessed was contraband. Linton v. State, 15 S.W.3d 615, 619 (Tex.App.–Houston [14th Dist.] 2000, pet. ref’d). Affirmative Links may be proved by circumstantial evidence, such evidence must affirmatively link the defendant to the offense, so that one may reasonably infer the defendant knew of the contraband’s existence and exercised control over it. See McGoldrick v. State, 682 S.W.2d 573, 578 (Tex.Crim.App.1985). (12) whether appellant owned or had the right to possess the place where the drugs were found. Chavez v. State, 769 S.W.2d 284, 288-89 (Tex.App.–Houston [1st Dist.] 1989, pet. ref’d). So what does this mean?? It means you should not even consider pleading guilty to drug possession charges unless they were your drugs. Just because you are in the car with someone that is holding, does not mean you can be charged with possession of the drugs they have on them! If charged with possession of marijuana or possession of a controlled substance, DO NOT PLEAD GUILTY – Instead, contact LeGrande Law…we have a track record of winning drug possession cases! If you are accused of any drug crime, including Possession of THC Concentrate, or other controlled substances, you need an attorney with a track record of winning drug cases. Attorney Tristan LeGrande gets results – CALL NOW for a Free Consultation!